Eterna marks the 70th anniversary of Thor Heyerdahl's legendary KonTiki expedition with a bold new limited edition timepiece manufactured, for the very first time, out of bronze. In celebration of this important anniversary, the new Eterna KonTiki Bronze Manufacture Limited Edition continues the magnificent story of the KonTiki adventure with a bold and highly recognizable design. Triangular luminescent hour markers are contrasted against a jet-black, granite-patterned dial that provides excellent legibility, while a unidirectional rotating bezel frames the dial with a «no decompression limits scale». This «no decompression limits scale» provides divers with a useful backup to their diving computers as it indicates the amount of time a diver can spend at a particular depth before he will have to decompress. 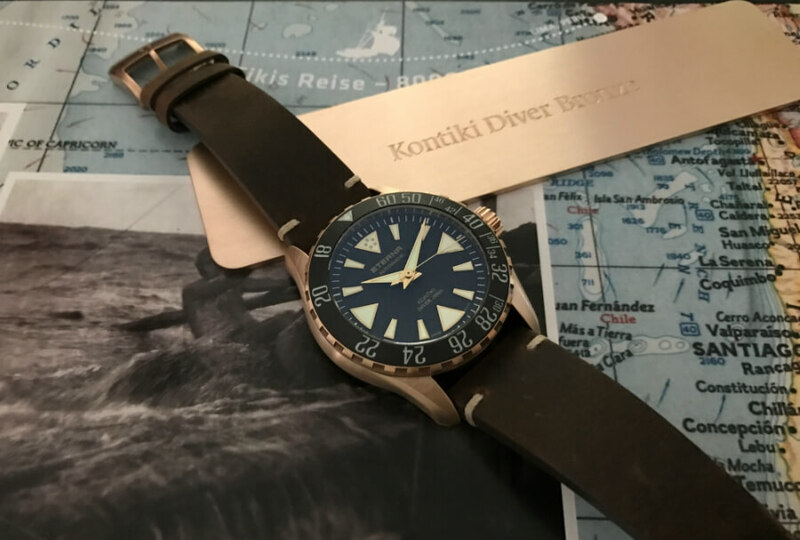 With a water-resistance of 200 metres, the Eterna KonTiki Bronze Manufacture is ready for adventures both on the surface of the water and at the depths of the ocean. The diving style has not been neglected either, as the timepiece is fitted with a water-resistant leather strap that is durable and comfortable and whose dark brown colour brings out the warmth of the bronze case. 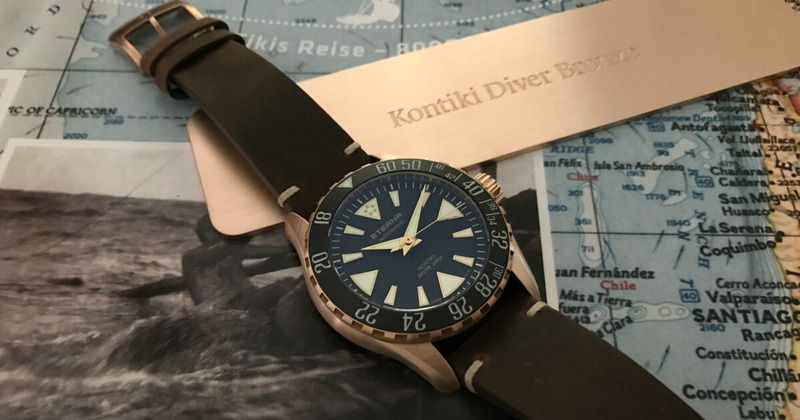 This special collection dedicated to the 70th anniversary of the KonTiki expedition is limited to 300 pieces and is the perfect partner for today's explorers who need a stylish timepiece that they can rely on as they embark on their very own adventures. Eterna KonTiki Bronze Manufacture is powered by Calibre Maison Eterna 3902A. The movement has 30 jewels and runs at 28'800 v.p.h with a power reserve 65h. The case is 44mm and it is secured with screw down. The use of bronze has a long and renowned nautical history. For centuries, ships have relied on this metal alloy for its exceptional strength and resistance to rust and erosion. Even when it is in constant contact with salt water, bronze shows hardly any signs of corrosion, making it an excellent choice for the case of the new adventurous Eterna KonTiki Bronze Manufacture Limited Edition. Bronze is able to resist the agressivity of salt water thanks to its ability to superficially oxidize and create a greenish/brown copper oxide layer that protects it from the elements. 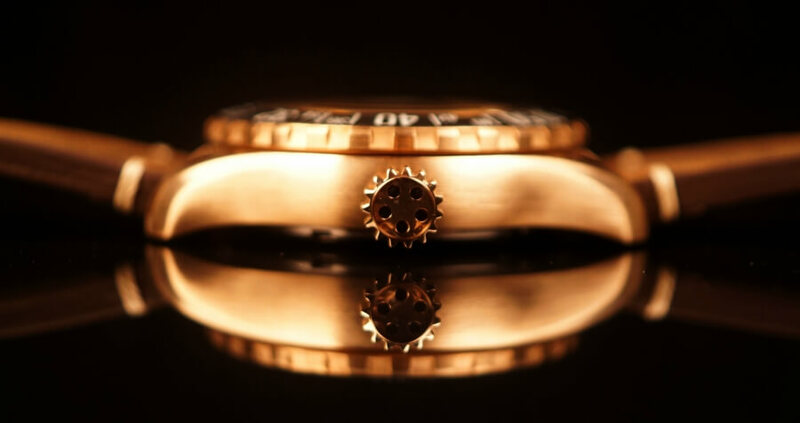 This layer is called a patina and develops differently for each and every wearer, making it a practical, yet stylish material for a watch's case. This ancient alloy is highly appreciated by watch lovers for its ever-evolving colour, but also for its aged and weathered look that rhymes so perfectly with adventure, exploration, courage and strength. It is the perfect material for celebrating the 70th anniversary of the famous KonTiki expedition due to its vintage look and longstanding connection to the sea. The price for Eterna KonTiki Bronze Manufacture Limited Edition is € 2,990 / $ 2,950.